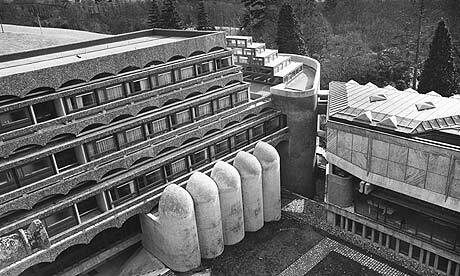 Home > Architecture & Urban Design, Things I Like...	> St Peter’s Seminary, Cardross. The story of St Peter’s Seminary in Cardross, a ruined and forgotten concrete carcass, hidden away in a forest 40 miles west of Glasgow, is certainly worthy of a much longer post than I have time for now. In the interim however, following an article I read in Dezeen last week, I am very pleased to write that the future of this beautiful wreck of a building has taken a sharp turn, as a full design team, including Avanti Architects and NORD have been appointed to work up proposals to refurbish/ redefine/ re-imagine what is undoubtedly one of Scotland’s great lost architectural masterpieces. Constructed of poured in-situ concrete, with local dark coloured pebbles cast into the surface and interiors resplendent in red cedar, the seminary was a skillful essay in space and light. 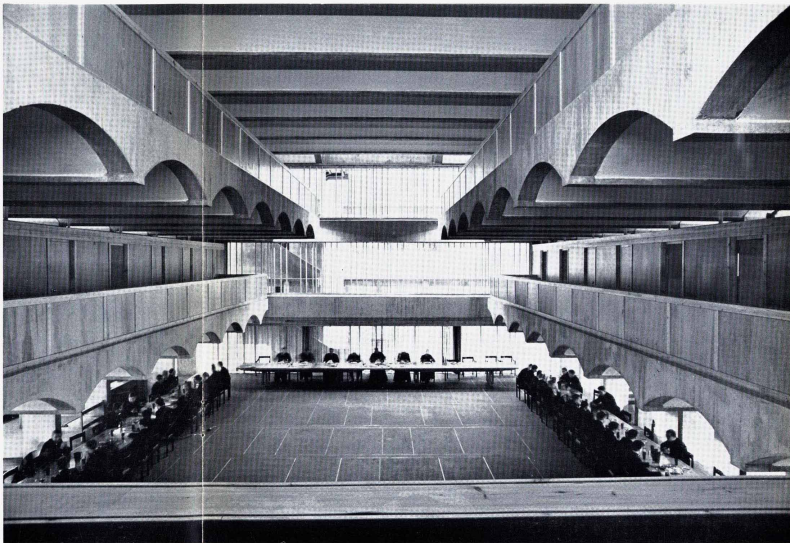 The large central area had modernist echoes of a church nave, whilst the intimate study rooms located on the upper floors, looked down onto this central space, creating an open and rich dialogue between the ritual and the monastic, the celebratory and the private. Sadly the life envisioned for this wondrous building was short lived. 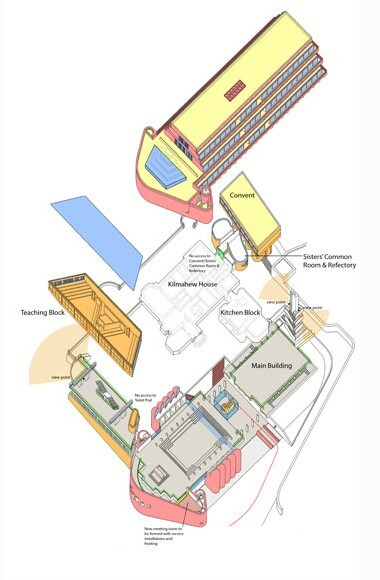 Due to a decline in the number of students wishing to dedicate theirs lives to the Catholic faith throughout the 1970’s and to almost continuous problems with maintenance and water ingress right from the outset, this bold and uncompromisingly modern building was occupied for less than 15 years. In 1980 God vacated the premises and drug dependent citizens of Glasgow moved in. Before the 90’s had arrived however, the building had once again been abandoned, stripped of its finishes and left victim to time, neglect and vandalism, known only to urban explorers and representatives of the local Diocese. Ive long been interested in the this building being a fan of mid century architecture but hadnt seen these you tube movies – thank you for posting. So sad to see the destruction but hopefully there is a possiblity of a new use for the structure.